Our charge was to create a new viewbook to engage potential applicants, and a social media launch strategy to accompany the release of the viewbook. 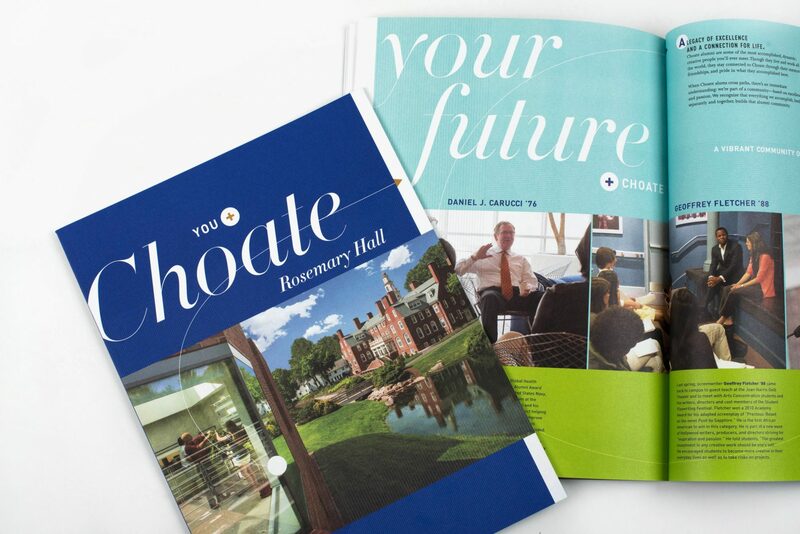 The concept we chose in partnership with the school’s marketing and communications team was, “You + Choate”: a theme that emphasizes the importance of each student to the school’s success and their legacy. 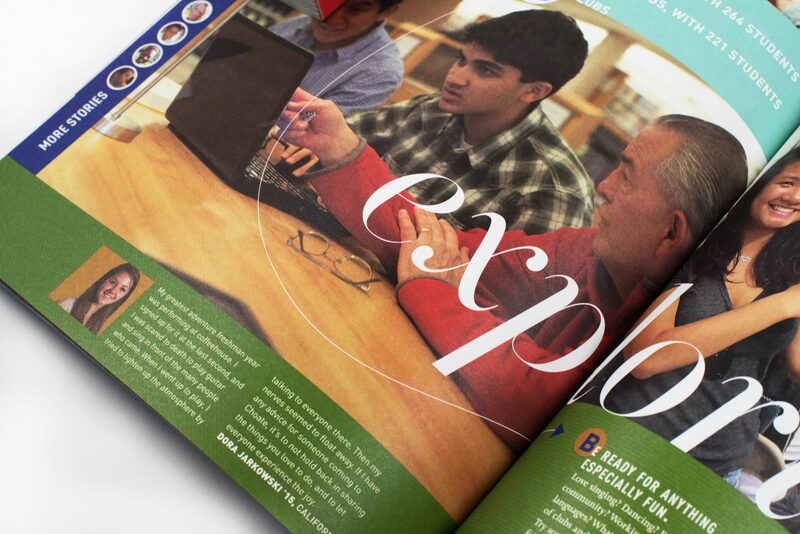 The viewbook storyline expands outward from the student to the classroom environment, to teams, to interest and cultural groups, to faculty and staff, and finally, culminates by focusing on the strength of the Choate alumni network. 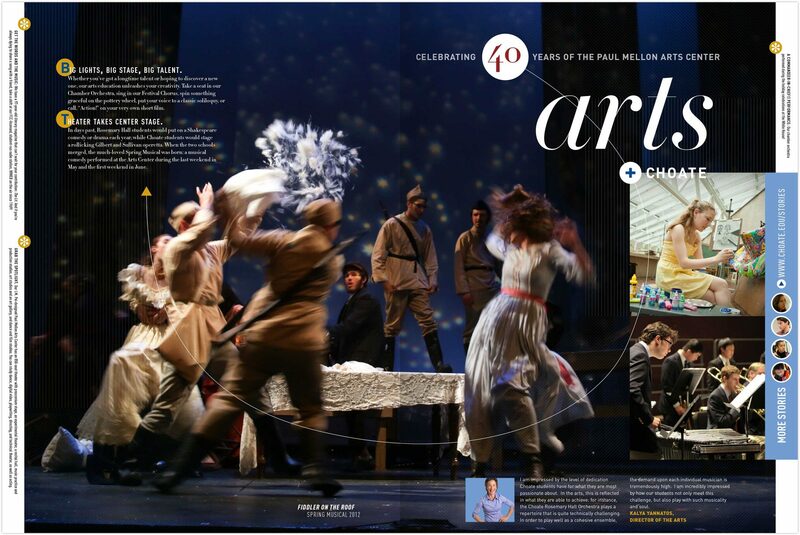 This balance between personal achievement and the warmth and support of community successfully captured the overarching value of the Choate experience: success! 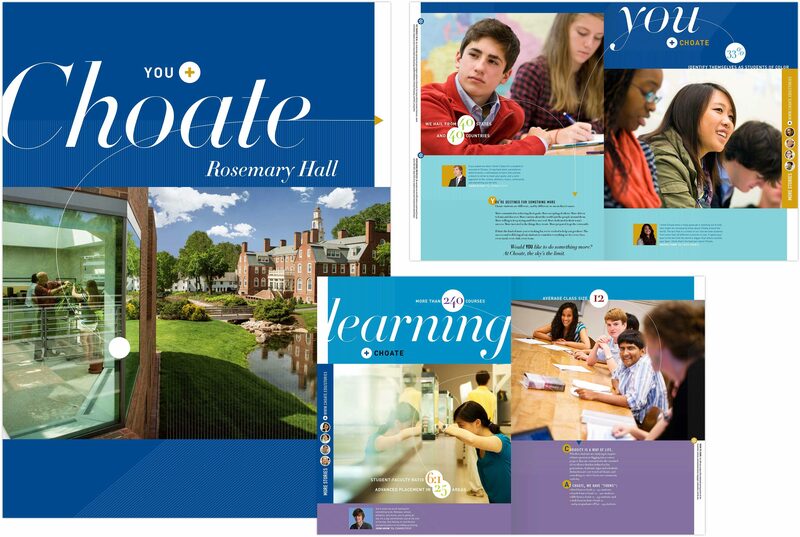 The social media strategy was aimed at giving students a glimpse into the Choate community, and giving them the freedom to get to know Choate visually, verbally, and personally (by interacting with the school’s social accounts). 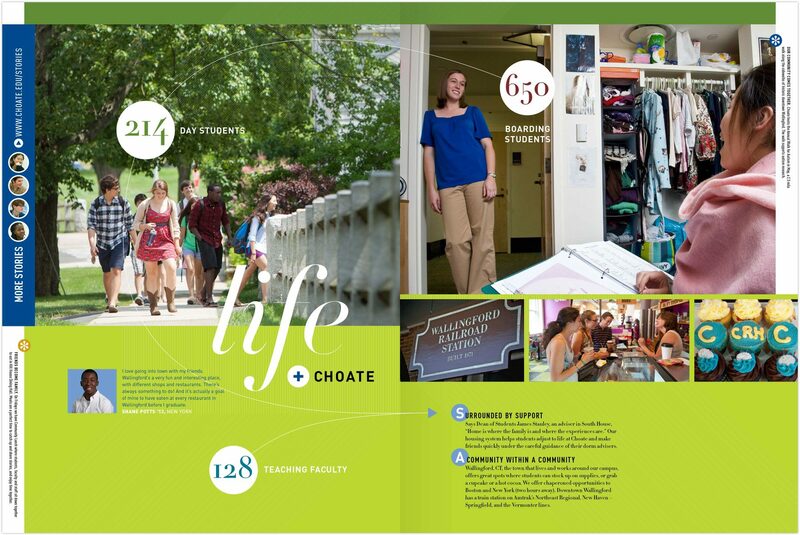 Choate’s in-house team saw a great response to the community-focused messages and imagery.